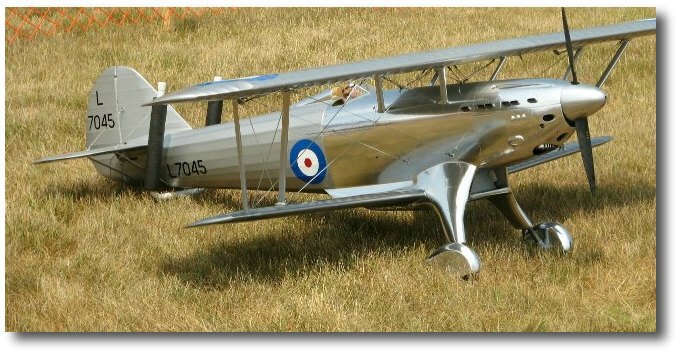 A large scale model aircraft: A beautiful 1935 RAF biplane. 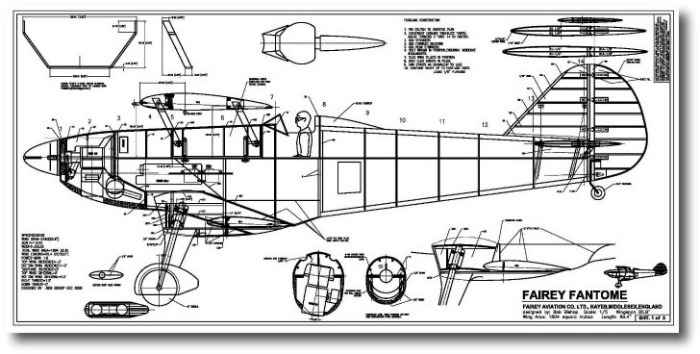 CAD plans of a large scale model aircraft, the Fairey Fantome. Enjoy the build and love the way she looks and flies! 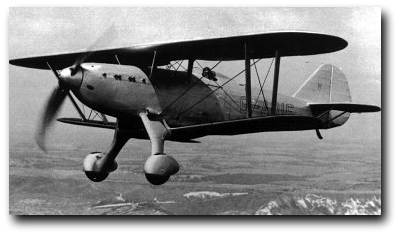 First flown in 1935, the Fantome was, without doubt, one of the most elegant fighter designs of its time. 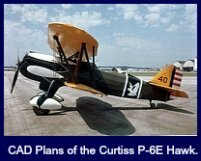 With its beautifully streamlined fuselage and neat cantilever main landing gear units, it was certainly one of the high points in biplane fighter development. 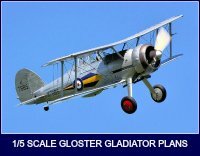 Unfortunately it appeared at a time when the majority of new designs were for monoplanes and thus the Royal Air Force was not that interested, although it was evaluated. 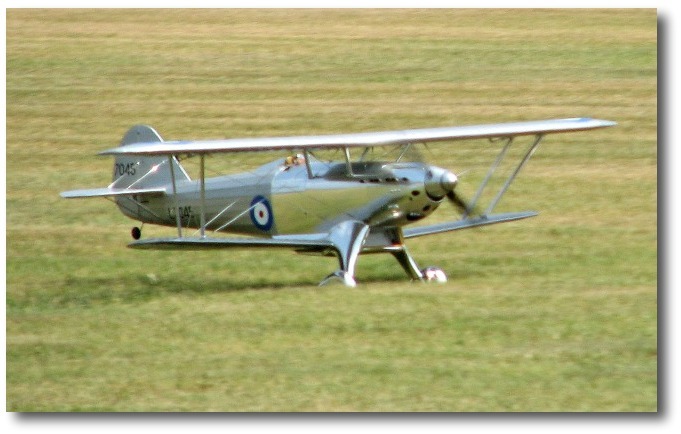 The Fantome was intended to meet a Belgian requirement for a successor to the Fairey Firefly II and easily surpassed all the performance requirements. Unfortunately the prototype crashed during the Belgian competition. Fairey sent parts for 3 aircraft to its Belgian subsidiary but the Belgian authorities decided to use the Hawker Hurricane. 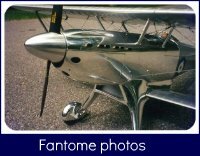 Two examples of the Fantome were sold to the USSR and according to some sources, later showed up in the Spanish Civil War. The third example was evaluated by the British but was never adopted. I was looking for a new model to build and came across some very good 3-views from Australia that looked very interesting. The Fantome had not been modeled, in a large scale before, so I decided to start work on the design. The odd scale factor was decided upon, to make the spinner and wheels a standard size. Autocad was used and a scan of the 3-views could be imported directly into the program. It was then necessary to trace over the outline and design the model structure. 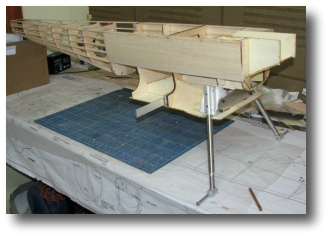 This is a large scale model aircraft, so the plans are 5 sheets, approximately 36"x72". All parts are drawn, full size and placed to make part fabrication easy. In fact sheet 5 shows all the fuselage components, allowing this sheet to be cut- up and pasted to material. Construction is conventional balsa and ply. The fuselage is built inverted, over the plan view. The half formers are added over the spruce crutch. The engine cooling tunnel forms the interior structure and is made from 1/8" lite ply. Please take all the steps necessary to make the tail as light as possible. A full size drawing of the muffler is shown on the plan. The original was manufactured by Bisson Muffler. Click here to visit their site. Also the oleo legs are shown and these were custom made by Robart. Click here for more details. The wing has a zillion ribs as per the full size! 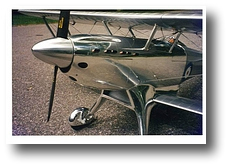 The tailplane and fin/rudder are built using a 1/16 " balsa core. 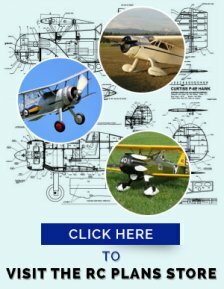 This large scale model aircraft is not difficult to build but there is a lot of it! I should mention a bit about the covering. All fabric covered areas were replicated with silver Solar Tex and after all the markings were applied, a clear coat of water based polyurethane was sprayed on. The inverted Moki may raise a few eyebrows but has proven to be very reliable. An on-board glow and the use of an O.S. F type plug have made this possible. Please be careful with the inverted installation when starting. The Moki does like to start "wet" and can be flooded if you are not careful! 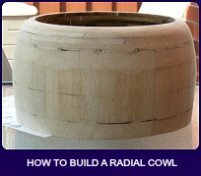 The cowl and wheel pants are made from balsa and ply and full details are shown on the plan. This means that NO fiberglass parts are required. 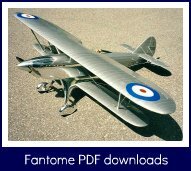 A large scale model aircraft, like the Fantome, does take a lot of work, to design and build, so the first flight was a very nervous experience! However, the model flew exceptionally well and after a few minutes I could relax and enjoy the sight of this super biplane, tracking straight through the sky. A few clicks of up trim and a little aileron trim and she was flying "Hands Off" What a gorgeous sight and a huge relief! After a few low level passes it was time to set-up for the first landing. There was little wind and the landing turned out well. 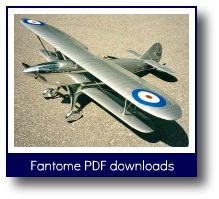 Future flights proved that the landing is very easy with the Fantome. Just reduce power to about half-throttle and start the landing circuit. When you are over the start of the runway at around 10 feet altitude, just slowly lower the throttle and start the flare, with a little elevator and you can "grease" her in. If the wind is stronger, then use a touch more throttle. The Fantome is a very well balanced flyer. The Moki 1.8 is just the right power and if you can keep the weight close to 20-23 lbs then you will be rewarded with a great flyer. All the scale type maneuvers can be accomplished with ease but realize that this is not a 3D aerobatic machine! This is what the plans look like. The full size plans, (5 sheets), are 36 in wide and over 70 in, long . 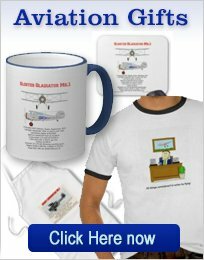 Orders to Canada- $20.00 USD. Note also that no hardware is supplied for this large scale model aircraft. Please note that you Do NOT need a PayPal account, just your normal credit card! This thread may well answer questions you may have about this model. Click here to visit. 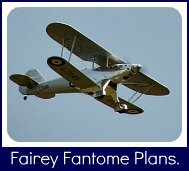 This page shows more photos and information about the plans that are available for the Fantome. 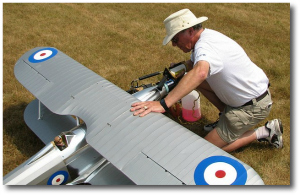 This large scale model aircraft is an absolute joy to fly and looks super in the air! 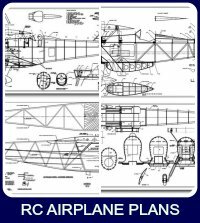 Here you can find information, on the landing gear, cabanes and also the engine installation, with details of a possible gas engine modification for this large scale model aircraft. 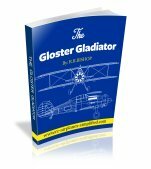 Many downloadable PDF files!